Dampiera linearis (Common Dampiera or Wedge-leaved Dampiera) is an erect perennial herb in the family Goodeniaceae. The species, which is endemic to the south-west of Western Australia, and grows to between 0.15 and 0.6 metres in height. 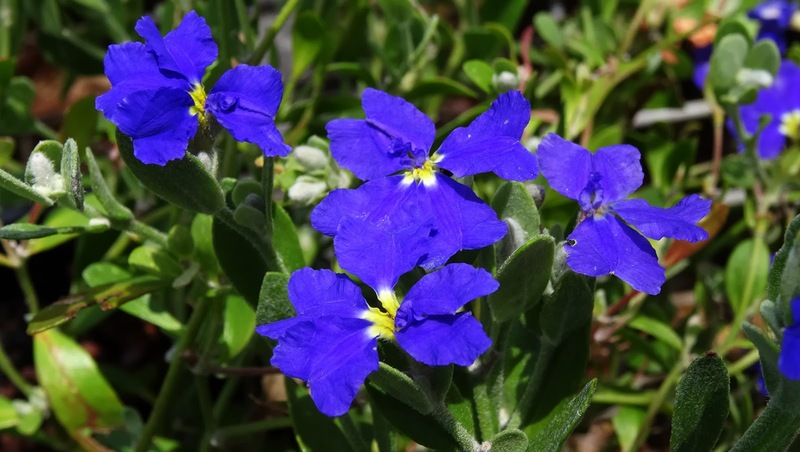 It produces blue flowers between July and December in its native range. In cultivation, the species prefers a well-drained situation in full sun or light shade. 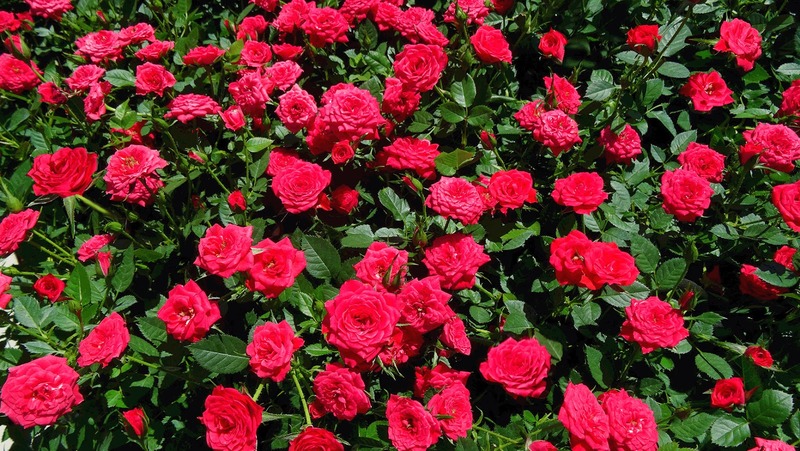 It tolerates some dryness and moderate frost. The hybrid "True Blue" is shown here. 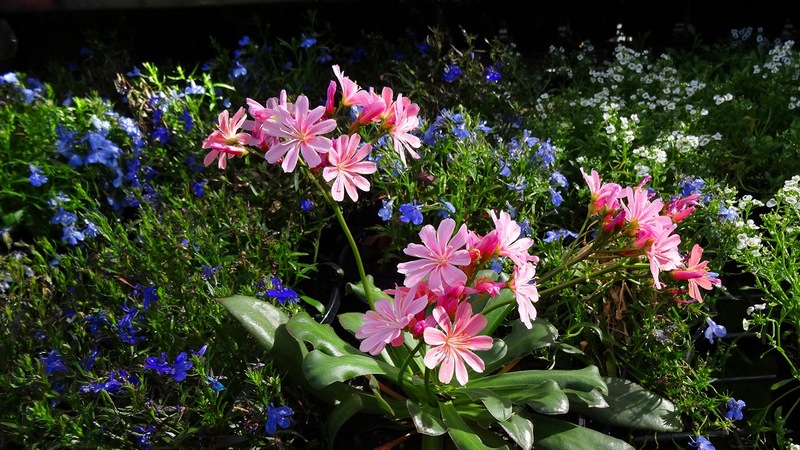 Lewisias are small, colourful flowering plants which are native to the Rocky Mountains of Colorado. Named after the US explorer Lieutenant Meriwether Lewis, these plants are wonderful for providing colour in rock crevices in a cool climate. Lewisia cotyledon 'Elise' shown here flowers in the first season without a cold period and can be used as an annual for rockeries, beds and containers. 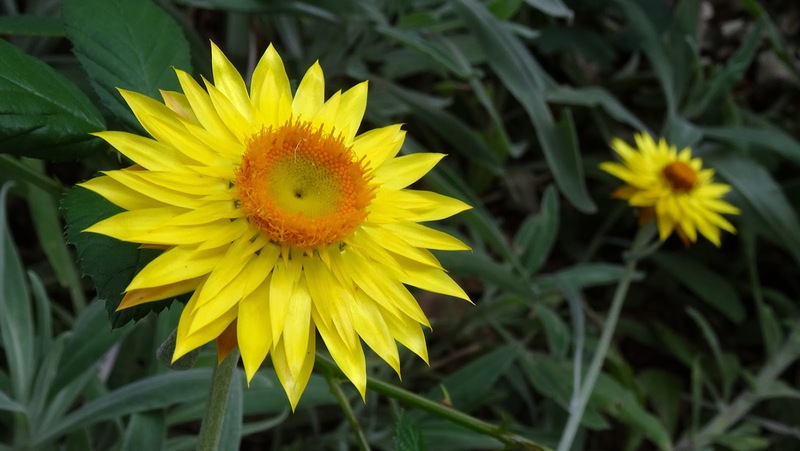 The plant starts flowering 4-5 months after sowing and is a sturdy plant with attractive fleshy, succulent leaves with flowers all season long in shades of pastel pink, rose, salmon, orange, white and yellow, and bicolour patterns.